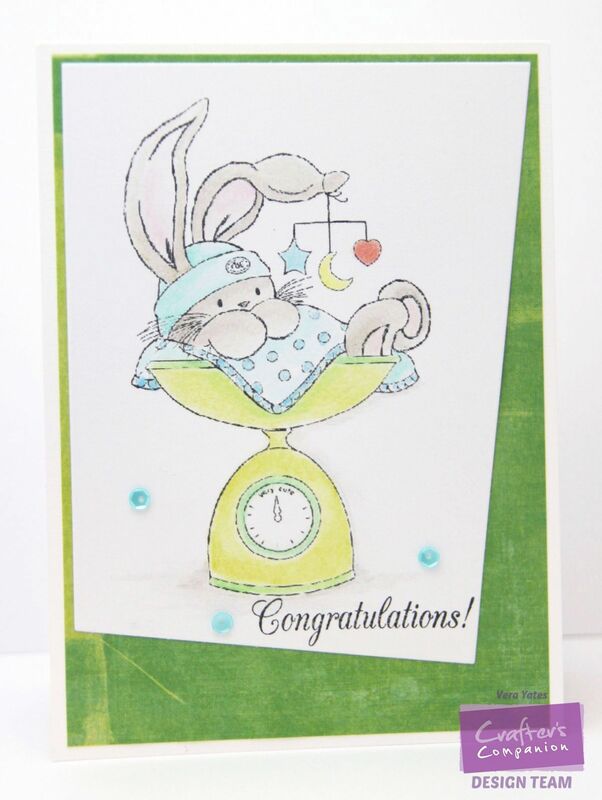 Well, I am back today and I want to share this card that was up on Crafter's Companion blog earlier this month. 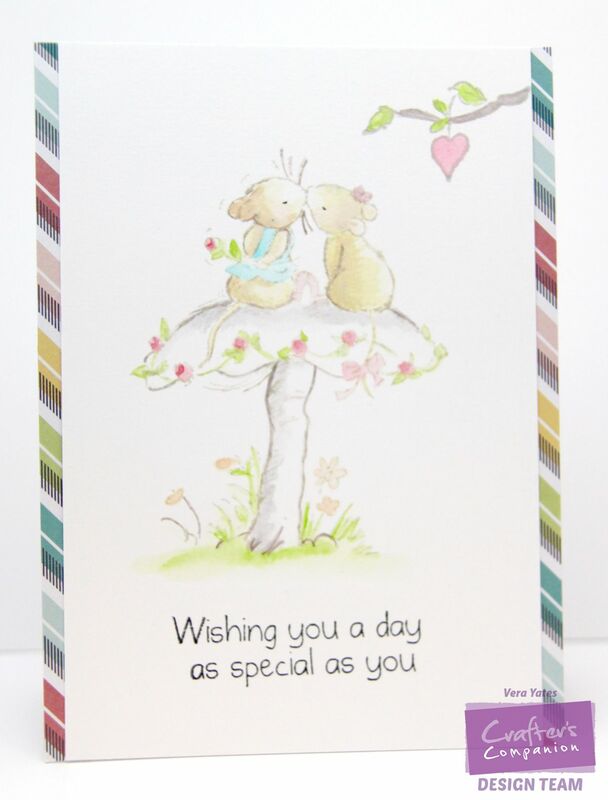 This card totally makes me think of spring with all the pastel colors on the background. That's all for me today, peep. Enjoy your Tuesday! Hi all. Yesterday, we have sketch challenge and today, My Favorite Thing is bringing you a fun color challenge. And, here's a peek of my project. We're collaborating with SRM Stickers and I use their brown bag to make a doggy treat pouch for my project. You can see the full view HERE. I hope you will play along and I can't wait to see your creation. Happy Thursday, peeps! 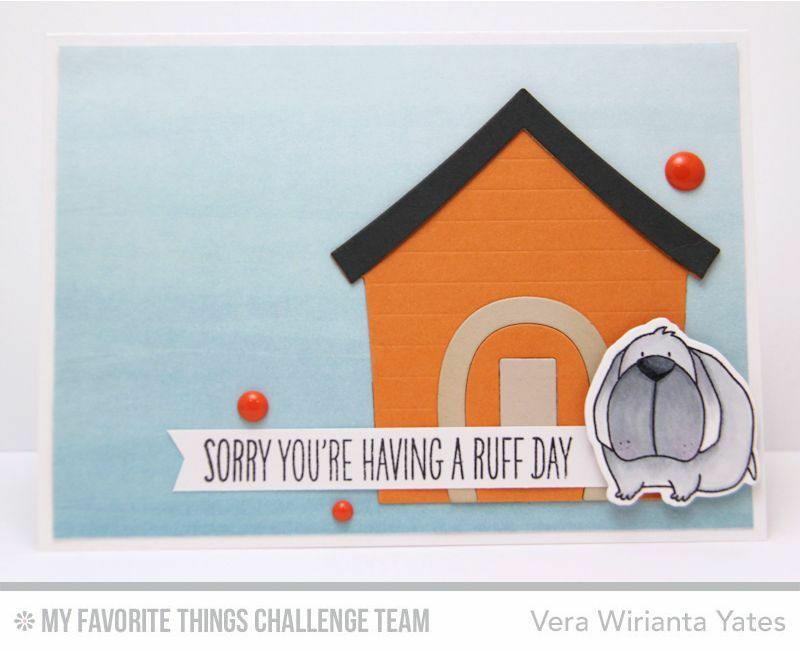 So, if earlier we have theme challenge from SugarPea Designs, now we have fun sketch challenge from My Favorite Things. 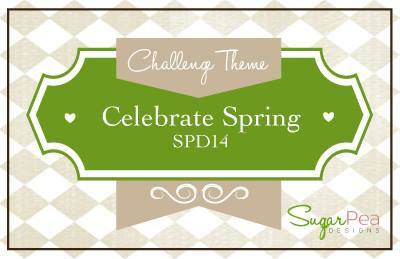 Well, with spring here, SugarPea Designs challenge for this week... yep, you guess it, it's all about spring. Create any project that reflect spring. 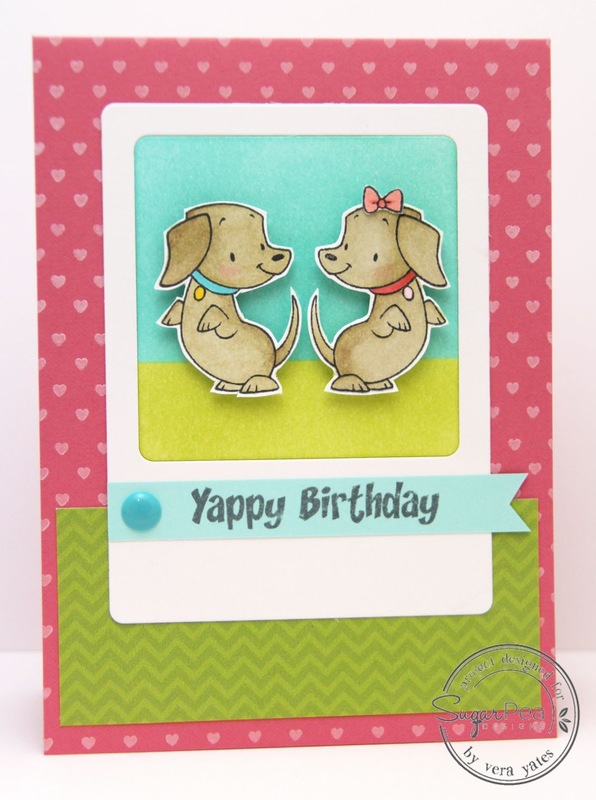 For my card, I went with the cute doggies from Hot Diggity Dog with the house and hill silhouette on the background. This card totally reflect how we enjoy spring at our home. Spring is the time of the year where I can sit outside with the dogs on the backyard and not melting from the heat. Especially, Abby, she's my outdoorsy girl. She loves running around the backyard, sunbathing on the grass and checking out the birds, squirrel, etc. I don't let my dogs outside without supervision. I am very protective mommy to my doggies, so spring temperature is nice as we can all stay outside longer. Hi peep. 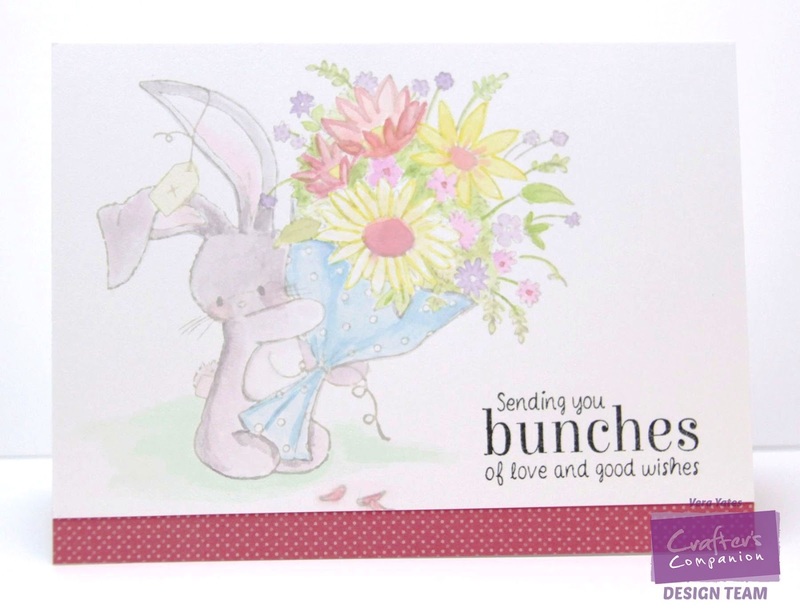 Today, I have an adorable card featuring Crafter's Companion Bebunny Bundle of Joy to share with you. I couldn't resist this set, so even though I don't need baby card, I just have to make one. Besides, I know my SIL, Gina could always use this kind of card for her bakery delivery. So, with this card, I have accomplished trying out all the Spectrum Noir collection. From their alcohol markers to their watercolor marker and now their blendable colored pencil. Between the 3, have to admit, my favorite so far is their Spectrum Aqua. Their colored pencils are awesome. I mean as far as color selection, it's crazy awesome. There are 5 sets and each set has 24 color. I just prefer the Spectrum Aqua at the moment because it take less time to color the whole image. And, when you're short in time, quick & fast is important. I am an animal lover in general. But, if you ask me whether I am a cat person or dog person, no doubt about it I am very much a dog person. I grew up having dogs all my life, so cat just never enter the equation, since most of my dogs weren't cat friendly. My pugs are probably the most cat friendly dogs I have. When my friend, Karen used to watch Ollie, she pretty much just ignore the cat and it irritated the cat, that I remember laughing hearing the story how her cat out of the blue just smacked on Ollie's head to get reaction from her. Eli, he thinks everyone is a play mate. Now, Abby (not a pug), would go crazy and want to chase cat if she sees one. She went crazy when she saw a cat walked on our fence. With that said, I surprise myself with how much I play with the cat stamps from My Favorite Thing I Knead You set. Hah... The cats in this set are so sweet & adorable, that I can't resist using this set quite a bit. I love animal sets with cute smiling face. Never ever thought I'd love a cat stamp set. This set is a first. Hi all. Are you ready for a new MFT sketch challenge? It's a fun one. I actually make 2 cards for this sketch. Here's a peek of the 1st card. 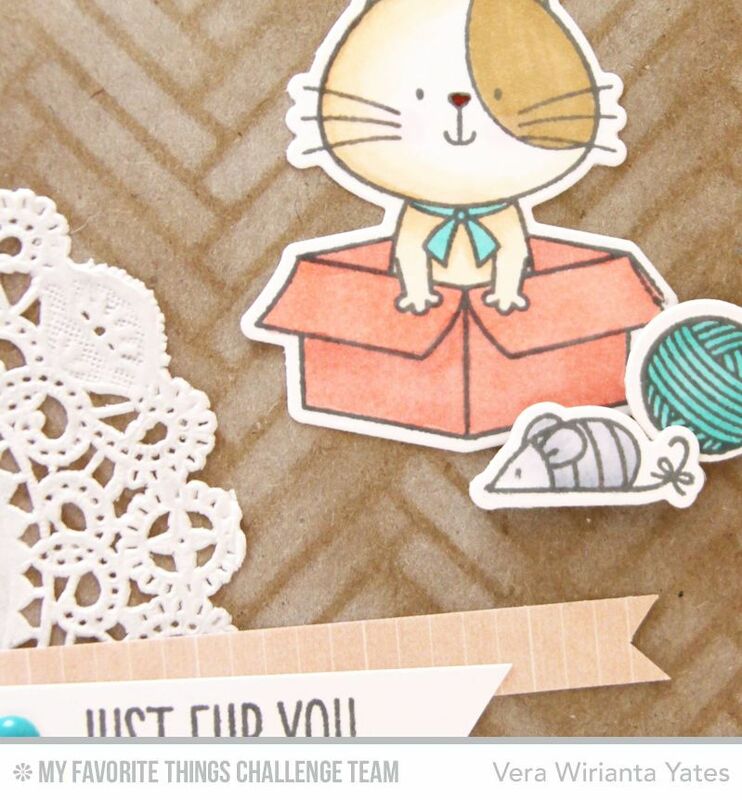 You can see the full card on MFT Card Challenge blog. Check it out will you and come play with us. :) Looking forward to seeing your creations. Now, here's my second card. This month, my blog is definitely filled with lots of dog, cats & bunnies, isn't it? And, I just love it. Between SugarPea and My Favorite Things new sets for March, I am definitely in craft heaven. In my opinion, you can never have too many critter sets. The more the merrier. Well, that's all for me today. Hope your Wednesday is awesome. Cheers! Hi peeps. 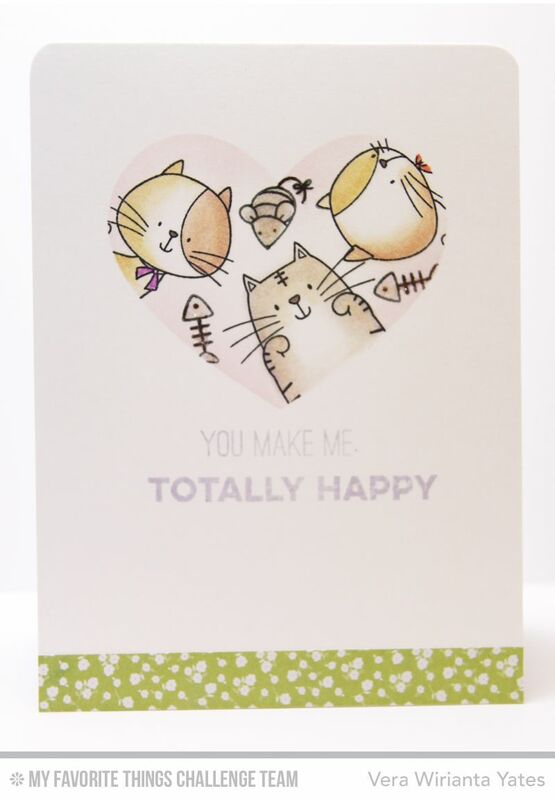 Today, I want to share this cute, lovey dovey card using the adorable image from Crafter's Companion. Monday, Monday... new week already. Well, let's start this week with two post! This is my 2nd post for today. 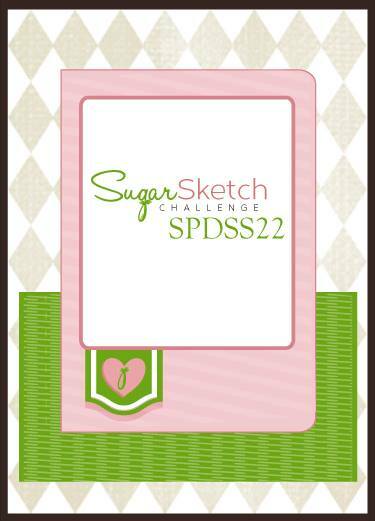 For SugarPea Designs sketch challenge please scroll down. Let's continue this Monday with more fun sketch & some cuteness, shall we? 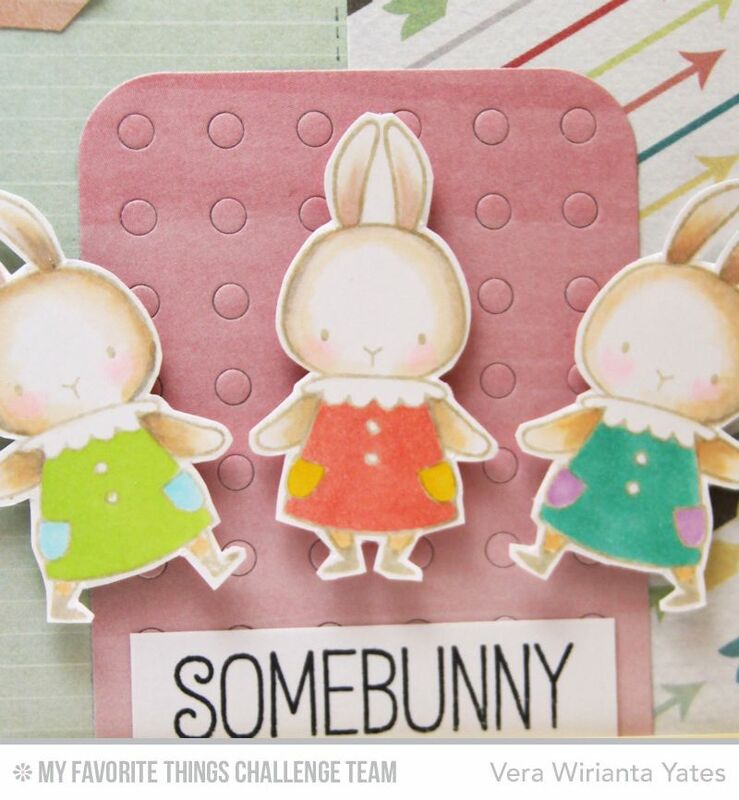 And, here's a peek of my "Somebunny" card. 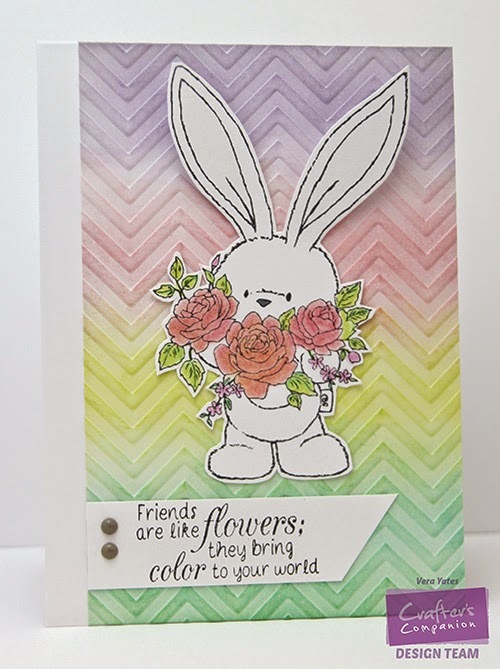 After a week long celebration of SugarPea Designs new release last week, today I am back with fun sketch challenge from SugarPea. With all the fabulous new sets, I have quite a few set to play with. But, as I am sure you can guess, my favorite is the Hot Diggity Dog, of course. 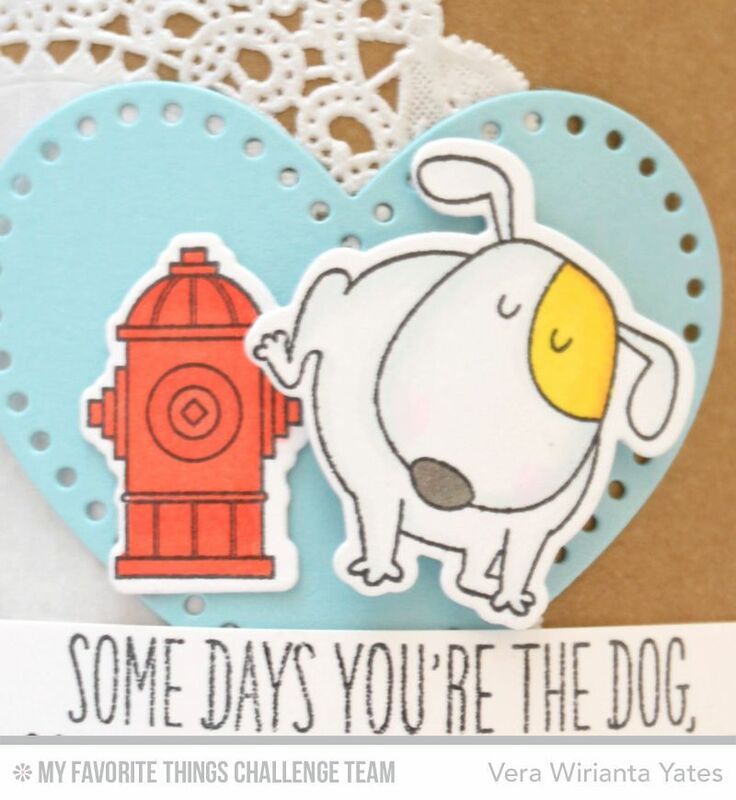 And, inspired by THIS cute card by my team mate Simonne Clay, here's my card for this challenge. For today, I want to share this sweet card that I made for Crafter's Companion. I love their Bebunny collection. Well, I have loads of task for today, so that's all for me for today. Wishing you all a fabulous weekend! For me, the word home has such a special meaning. I am blessed that I grew up in a loving home. 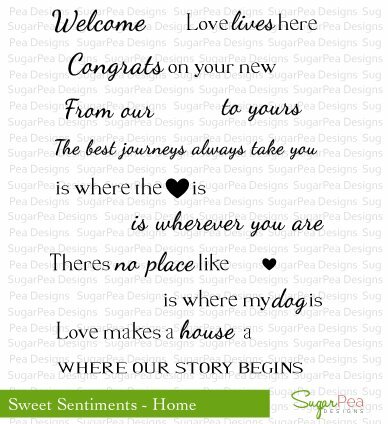 Home means love, family, comfort, safety. The sentiment, Home is where the heart is, is so true. 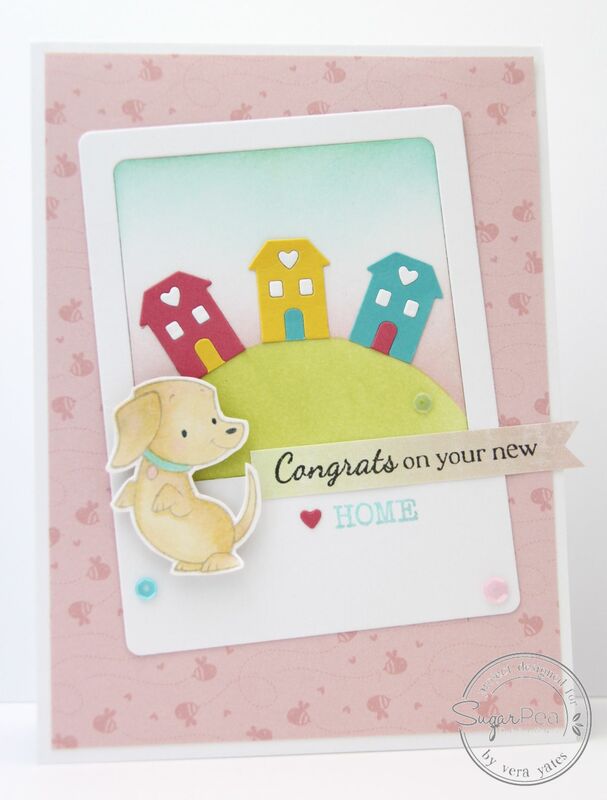 This latest darling word die from SugarPea Designs features a little home with a heart window accent. I think it's one of the prettiest home dies out there. 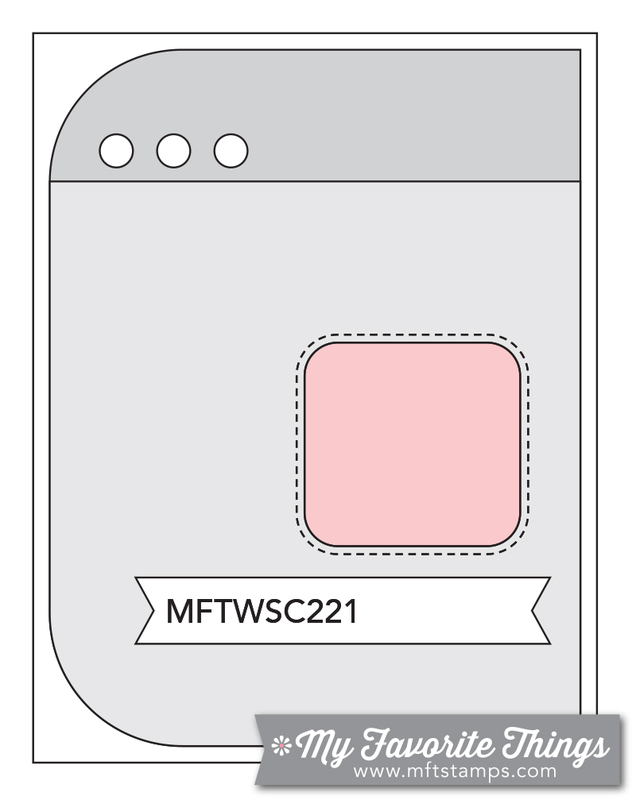 You could use it to add fun embellishment to your card, scrapbook layout or home decor project. 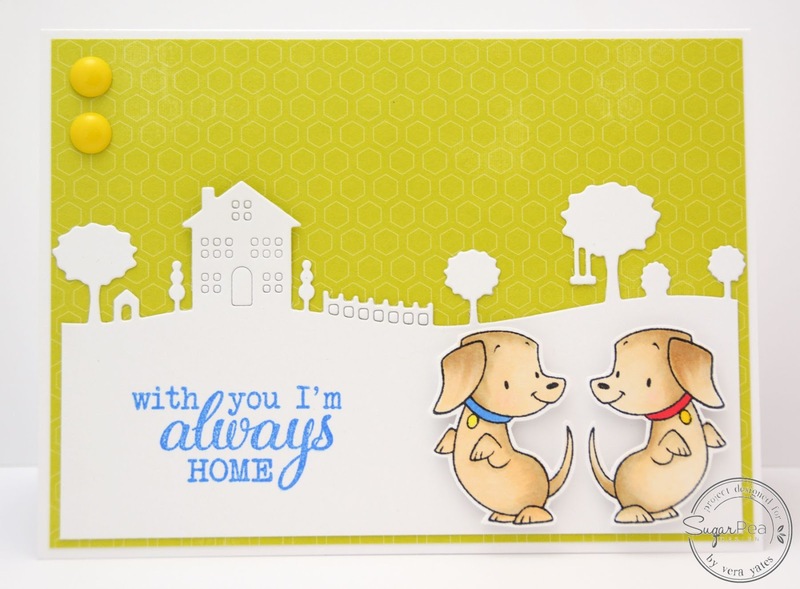 This die can be used alone or together with the coordinating Sweet Sentiments - Home stamp set. We would love to hear your thoughts on the products introduced today!! Please leave a comment on this post and on each of the talented SugarPea Designers shown below and you could WIN! 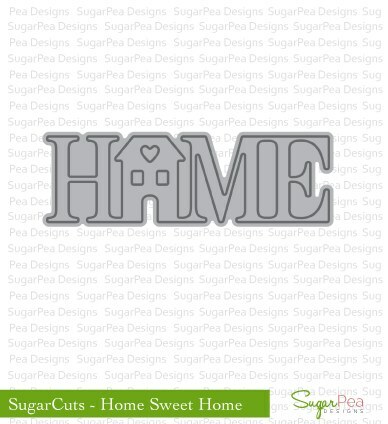 We will chose one lucky person to WIN both the Sweet Sentiment set & SugarCuts Home Sweet Home from the comments left here and on the DT Blogs! All winners during our March Product Release will be announced on Sunday, March 15th. Our entire March Release will be available in the SugarPea Designs Store at 6:00 PM EST TODAY!! Please click here to shop – and if you are lucky enough to win a set you’ve already purchased, you may choose another stamp set of the same value! This week is busy week for me. Two days in a row of 2 posts. 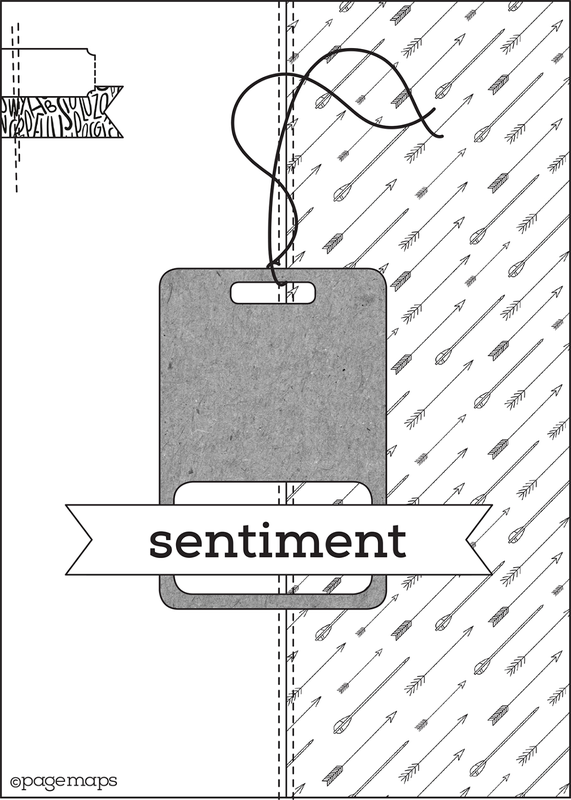 :) For SugarPea Design new release post please scroll down. At MFT, we have new color challenge started. This month, we are collaborating with SRM Stickers that provide us with some fun products. I choose to play with the kraft bag and here's a peek of my project. 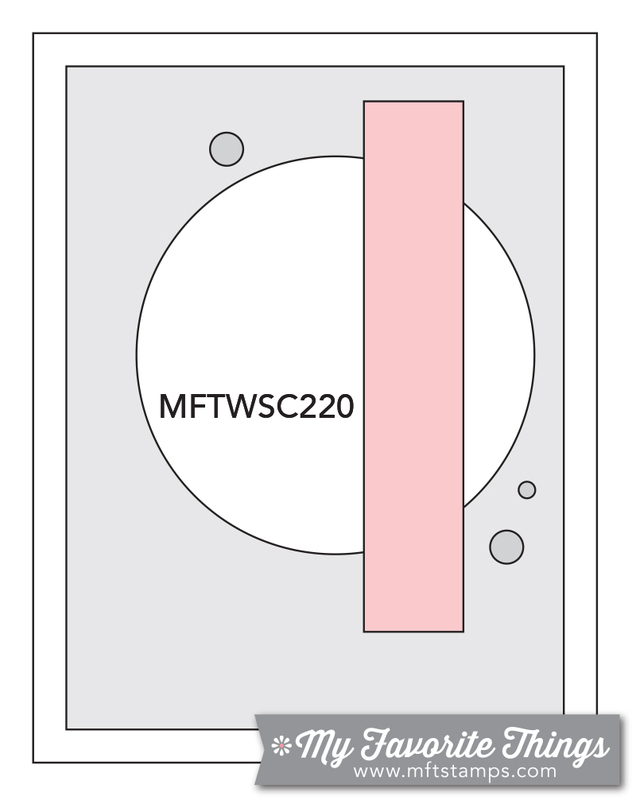 To see the full view of the project please check out MFT Card Challenge Blog. You have 2 weeks to play along and I am looking forward to checking out your project! Could you use a little getaway? I know I could. We actually have one planned and it's coming up pretty soon. How about you? Do you have one plan for sometime this year? 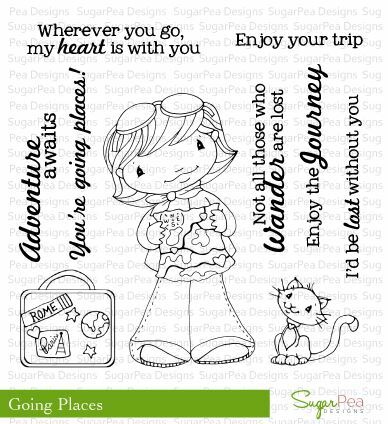 Well, while waiting for the getaway to happen, SugarPea Designs have this adorably sweet, Going Places stamp set featureing an adventurous girl who is ready to see the world. With 2 fun accessory images and 7 versatile sentiments, this newest addition to our Sugar Snap Collection is sure to be your passport to creativity. The map dies... oh my word. I love this dies. And, I love how pretty Texas shape is. 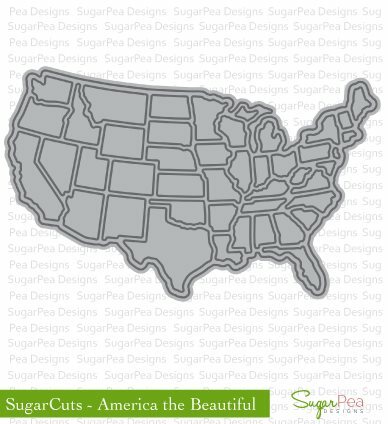 Have to add a little heart for my home state, of course. We would love to hear your thoughts on the products introduced today!! Please leave a comment on this post and on each of the talented SugarPea Designers shown below and you could WIN! We will chose one lucky person to WIN the Going Places stamp set from the comments left here and on the DT Blogs! All winners during our March Product Release will be announced on Sunday, March 15th.